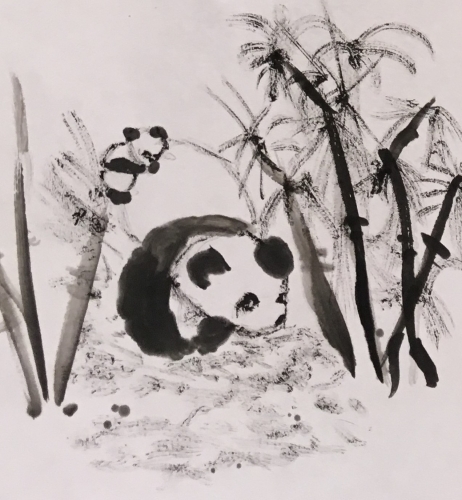 Learn to paint pandas with a bamboo brush in the traditional Chinese manner. Join Wendy Wu, award-winning teacher from the Panda Province, Sichuan, China. Ms Wu currently teaches Mandarin Chinese at Columbia High School through the Teachers of Critical Languages Program For ages 8-15. Please bring a painting smock.